The first drone Edwin Van Ruymbeke ever flew made him nervous. He was afraid he’d crash and break it; he worried it might hit someone; and he didn’t like the idea of a skyline littered with the dystopian-looking propellered devices. These days he’s designing a very different take on the aerial gadgets. As an aeronautical engineer and the inheritor of a family business that makes mechanical flying bird toys, Van Ruymbeke is uniquely positioned to explore bird and insect-inspired biomimetic drones. His latest, the MetaFly, is live on Kickstarter now. MetaFly is a remote-controlled, insect-like drone. Some of Van Ruymbeke’s earliest memories involve flying. “I was very young when my father and my grandfather created the Tim Bird,” a rubber band-powered toy that was popular in the ’70s and is still in production today. “My brother and I would test it in the park—I have very good memories of this time,” Van Ruymbeke says. The family business made the Tim Bird, a toy that got Van Ruymbeke thinking about more advanced flight technology. After learning the ins and outs of his family’s factory, he saw that his ambitious ideas for a truly maneuverable bird toy would require him to set up a different kind of factory and a different kind of company—the new technology available for drones can’t be made on equipment for toys. He founded XTIM in 2010, and started working on the next generation of flying devices. XTIM’s first product was the Bionic Bird, a small rechargeable drone with birdlike movements that won the attention of Wired, BBC News, and Forbes, among others. Its elastic foam body and carbon fiber flapping wings made it light and strong enough to sustain crashes, and a simple app controlled its flight. The plans he’s outlined for the MetaFly continue to advance that technology in a more insect-inspired form factor. 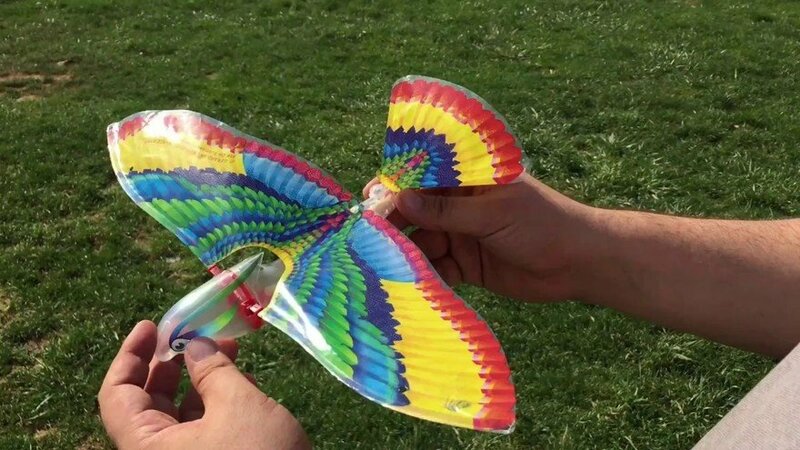 Its wide wingspan and low weight give it better gliding ability, and its adjustable tail helps it make smooth turns. Nature-accommodating robots also benefit from evolutionary “product features,” he notes. While drones burn energy hovering and moving vertically, birds and insects have spent millennia evolving energy-efficient movement and maneuvering. The MetaFly is nimble (and crash-proof) enough to fly indoors. MetaFly is live on Kickstarter through May 2, 2019.